Users should be able to get a website up and running quickly. They should be able to have a bit of fun in the process. In fact, it was an early adopter at one of our Reach Out and Touch You events in Portland who told me, “Remixer is an idea generator.” This user said he could quickly toy around with new website ideas to see if they worked or inspired him into further action. So mission accomplished on our first three goals! But you know we’re never done adding functionality. 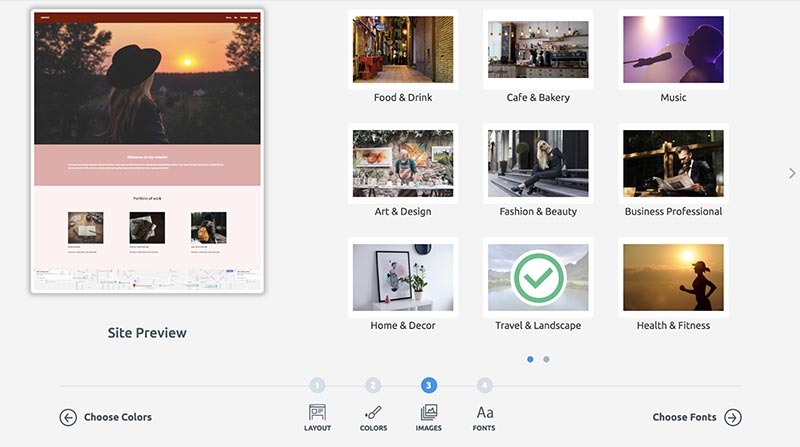 That’s why we’re so excited to introduce the new Create feature — a tool that will allow you to iterate on ideas quickly and show you the full range of Remixer options before you get down to editing your content. In reviewing Remixer usage, we noticed that small business owners, for example, felt they needed to choose a business theme for their website, and restaurant owners thought they needed to choose a restaurant theme. This user behavior made us realize that some of our users might be hemmed in by the themes — instead of being inspired by them. With all the website builders and content management systems out there (and the various kinds of themes, skins, and templates), it’s clear that what users want — and need — are lots of inspiring options. 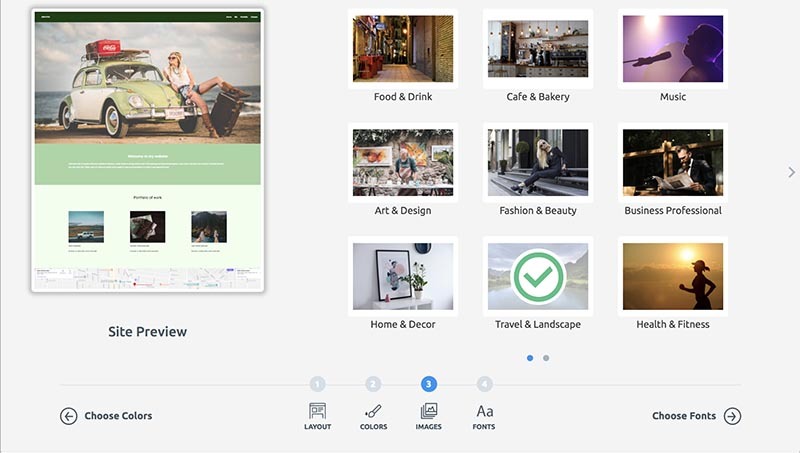 So whether you know the exact type of site you want to build or just have a general design aesthetic in mind, the Create feature can help you preview different options before you commit to inputting your content. Plus, it’s easy to use. You select from three basic layouts, choose a color palette, select example content, and then finish it all up with a curated list of font pairings. There’s also a site preview you can watch as you go through each of the steps. Then, you can save where you are or jump right into the editor and start adding your content. One of the hidden features of this update is a color-matching technology. We plan to make it an integral part of the whole editor experience soon, but we are proving out its usefulness within the Create feature. In our 20-plus years in the hosting industry, we’ve found that imagery which matches the color palette of the overall website consistently creates a more polished and professional look. 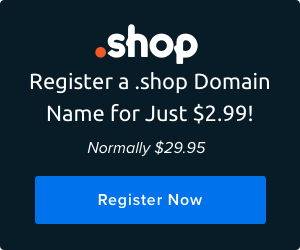 This new technology makes creating that kind of website easy. 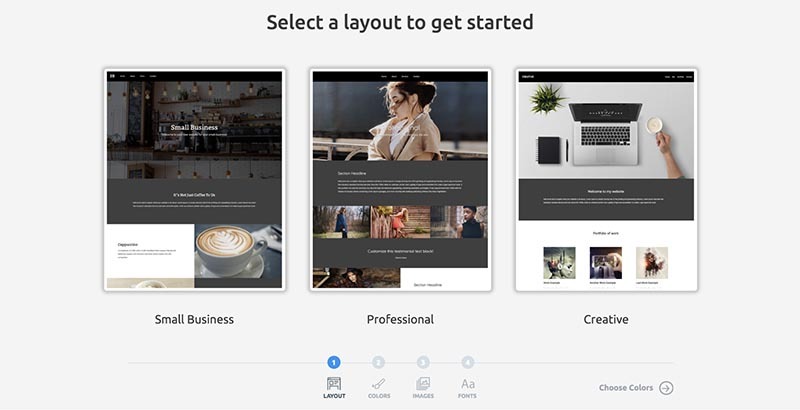 The first step of the Create wizard is to select a layout for your new site. In Step 2, you’ll be asked to choose a color palette. Then, during Step 3, you’ll select example content from a range of categories, such as Health & Fitness, Business Professional, and Cafe & Bakery. 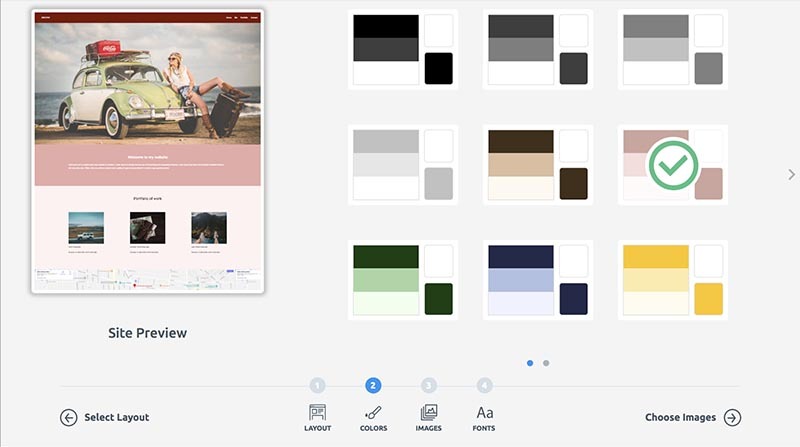 Once you pick a category, all the images inserted into your site preview will automatically match the palette you selected in the previous step. If you want more options, you can select the categories multiple times to see the images change. If you go back to Step 2 and choose a different palette, you’ll get a refreshed set of images to match your new color selection. Remixer is a great tool to get your website project off the ground — no coding experience required. Plus, the Create feature is truly fun to use and is paving the way for even more exciting features later this year (don’t worry, we’ll keep you posted). 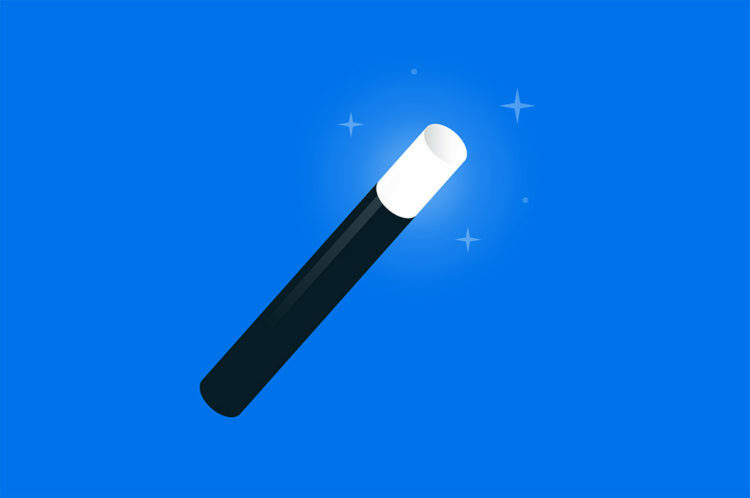 If you haven’t checked out Remixer in a while, be sure to play around with the Create feature and let us know how you feel about the experience at remixer@dreamhost.com.